If you’re just starting to establish your online presence, you may come across a number of confusing technical terms. Even with loads of information available on the Internet, you may have trouble understanding what those terms mean. The problem is that tech experts, who write tutorials and guidelines, don’t bother to explain key notions, assuming their readers already know the basics. Luckily, we can help. While you don’t need to be a techie to launch a website, understanding basic IT terms can make you feel more confident and help you avoid poor choices. Before you dive into the article, here is another important aspect of your branding that deserves attention. If you’re looking for a logo, favicon, or other brand identity elements, be sure to check out the Logaster online logo generator. With Logaster, you can craft an effective emblem that will elevate your brand among its competitors. The best thing about this tool is that you don’t need to be a tech pro to create eye-pleasing designs. Follow the link to check for yourself! To access a website, the user must enter the site’s domain name into the address bar. Another way to get to the website is by entering its IP address. An IP address is an identifying number that computers use to communicate with each other. Most IP addresses look like this: 123.457.69.043. For common users, memorizing long strings of numbers is a tough task. This is where short and easy-to-remember domain names come into play. A domain name consists of two parts: a website name and a top-level domain (TLD). For example, the domain name logaster.com has .com as its TLD. There are a variety of TLDs, each with its own applications. Be sure to do some research and take enough time to decide which extension is right for you. 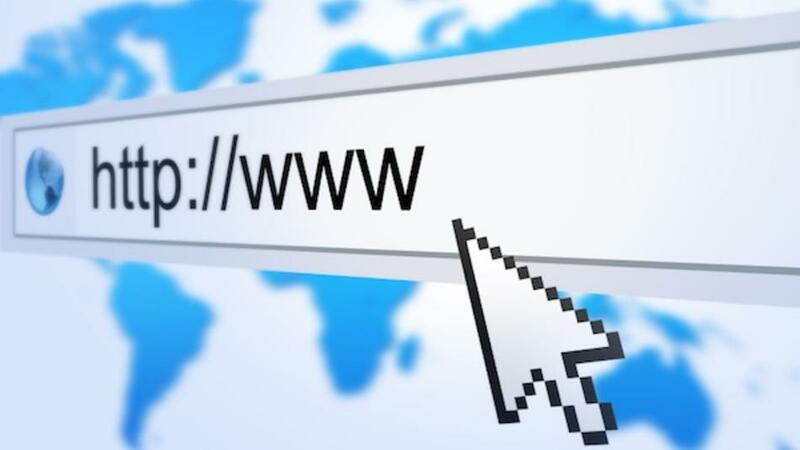 Having your own web address offers a bunch of benefits to you as an online entrepreneur. Let’s look at some of the most important factors that are imperative to your company success. A domain name is a permanent place of residence of your corporate site on the web. Over the years, your company may underdo multiple changes, such as a web host switch, brand identity overhaul, or marketing strategy relaunch, but your URL address will stick with you for years to come. Your clients will always know where to find you online. This turns a domain name into a valuable long-term asset. Without a brandable domain name, standing out in an overcrowded market may be tough, if not impossible. Avoid taking the easy route by using someone else’s domain (e.g., mybrand.myshopify.com). There is a risk that the brand, that offered you an online home, may steal your thunder by grabbing your customers’ attention. Also, web browsers will have a hard time memorizing your URL address. As you can see, a domain name can make or break your business. We’ll walk you through the process of choosing the right domain name. Let’s take a look at things to consider and potential pitfalls to dodge. When creating a URL for your blog/website, remember that it’s a long-term commitment. You can do lots of changes to your business throughout the years, but your domain name will define your company for a long time. Your web address is a major brand identity element your clients and partners will associate you with. Realizing this adds responsibility and makes the choice even tougher. Technically, changing your domain name is pretty easy, only it will take a huge toll on your branding. You’ll have to grow and promote your blog or website from scratch. If you already have an established website that drives consistent traffic, moving to another domain is the last thing you want to do. It will flush your SEO efforts down the drain. With that said, your task is to create a good URL address that will remain relevant and fit your business throughout the years. Sounds easier said than done, huh? When it comes to choosing a web address, there are no golden rules to follow, for better or worse. Here are some guidelines than you may find useful, though. Use keywords. Your web address must include relevant words that capture the essence of your business and describe your products or services. By looking at your URL, your potential clients must be able to guess what they will find on your website before even opening it. For example, if you’re selling antiques or collecting works of art, you may consider launching your project on www.antiques.com or www.collectibles.com. A name created out of the blue may drive users away, resulting in a major traffic nosedive. Create an easy-to-remember name. Your domain name must stick in your customers’ minds. If users have trouble remembering your web address, you risk losing lots of traffic. Also, with a memorable URL, people are more likely to refer it to their friends and colleagues. Create a short name. Your URL must be no longer than 10 characters. The shorter the name, the easier it is to remember (see above). The problem is that concise URLs are no longer available. Still, you must steer clear of bulky domain names, e.g. thisisaverybaddomainname.com. When entering a long string of characters into the address bar, the user is more likely to make a mistake and end up on a random site or non-existing page. If you take 100 most popular sites, their longest URL contains 17 characters. 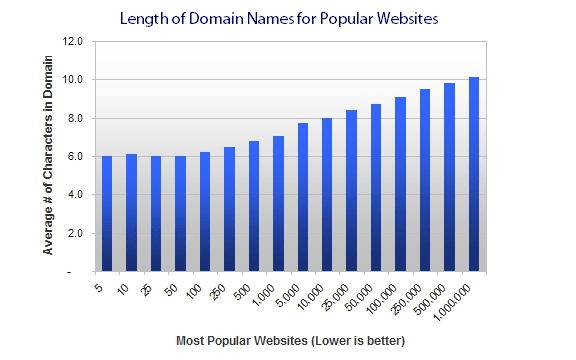 These stats showcase the importance of choosing a succinct domain name. Ideally, your URL should include 6 to 14 characters. The fewer, the better. As already mentioned, short domain names are no longer available, with some of them sold at crazy prices. If you can’t find a short URL, be sure to create a brandable name, at least. Use hyphens, if needed: Sometimes, it might be a good idea to utilize hyphens (-) to separate words in your URL. If www.domainname.com is already taken, try www.domain-name.com. Using a hyphen can improve readability and visual perception of your web address. Your search rankings may benefit from this approach as well. Create an easy-to-spell name. Make sure that your target audience have no trouble entering your URL into the address bar. It’s very important that users type your domain name right the first time. Plus, an easy-to-spell URL can have a massive effect on your brand recognition. Focus on your location. If your business targets a certain city or region, you might consider reflecting your geographic location in your URL (e.g., buybook.ru, buybook.ua, buybook.kz). Choose a popular extension: Be sure to choose a top level domain. The most popular TLD is, hands down, .com. When hearing about a random website, people automatically think about it as “domainname.com.” If the extension .com is already taken, go with .net or .org. Tap into your creativity. 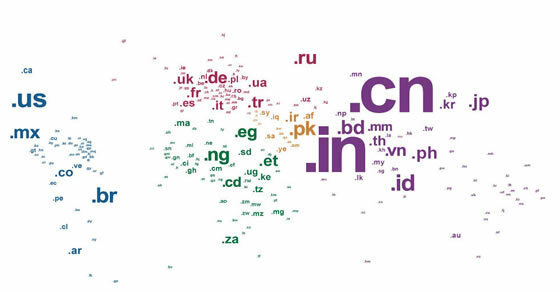 One-word domain names are mostly taken. You may view it as a problem or a pivotal opportunity to stand out from the crowd. Get your creative juices flowing, for you’ll have to work hard to come up with a new word for your URL. Luckily, there are multiple ways to go. You can combine two words (YouTube), create a phrase (Six Apart), play around with parts of different words (Microsoft), modify a word (Flickr), add a prefix or suffix (Shopify), or even invent a brand new word (Odeo). Business Name Generator – A free tool from Shopify that generates smart company names. NameStation – Offers available URLs based on the submitted keyword. Domaintyper – Here you can instantly check availability of your selected domain name. Domain Pigeon – Shows domain names registered by other users. A powerful source of inspiration! Domainr – Enter a keyword, and this tool will provide you with a long list of URLs, both taken and free. Once you’ve chosen the right domain name, the next step is to find out whether it’s available! Found the perfect URL that answers your needs? Good, but it still might be early for celebration. Now you need to find out whether you can use this option for your social media accounts. Also, make sure your selected URL is not being used by another brand. 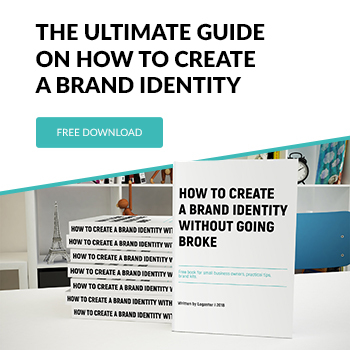 To build a strong brand identity, your official website and social media pages must have the same name. It’s a surefire way to make your brand more memorable and recognizable. Plus, it makes it easier for potential clients to search for your business across multiple platforms. To avoid being sued for copyright infringement, steer clear of domain names that have been already registered as trademarks. How do you check if your selected URL is free? The easiest way to do it is to use Knowem. This tool allows you to search for your URL availability on popular social networks and in the USPTO database. If your domain name is already taken, don’t be discouraged. Use your imagination to come up with a new option that might end up being even better than the original one! Where to buy a domain name? Popular domain name registrars. You probably know that GoDaddy is the number one choice for those wanting to register a new domain name. Over 14 million users have already trusted this platform with more than 63 million URLs. Plus, GoDaddy offers a bundle of additional services, including web hosting. 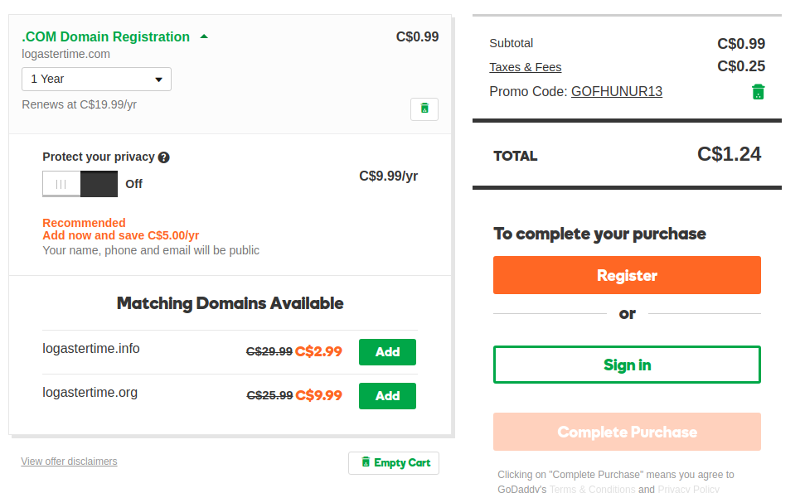 To get a free domain name from GoDaddy, be sure to use our promo code! NameCheap is another user-friendly platform that has earned its spot on the radar. With NameCheap, you can register a new domain, transfer a domain, get a privacy package to protect your personal information, and more. Once you’ve found the best URL for your website, hurry up to secure it before someone else does. Step 1: Choose a registrar. Nowadays, the choice of domain name registrars is huge. If you feel lost, try asking your friends and colleagues for recommendations. Chances are that they’re already using a platform that offers a great mix of prices and customer service. Avoid no name or emerging registrars you know nothing about. Go for reliable companies with an established reputation. When it comes to your URL, you can’t take any risks. When registering your URL, you’re required to enter your personal information, including your name, phone number, email address, and postal address. Keep in mind that your personal data will be published in the Whois Public Internet Directory, enabling any person to look up your registration details. To protect yourself from spammers and hackers, you can make your data private for an extra fee. Some registrars remove your data from the public database free of charge. Alternatively, you can submit your business name and corporate address instead of your personal data. URL registration is only half of the deal, though. Now you need to develop your website (if you still haven’t done it) and find a suitable hosting provider. Consider creating a logo and favicon to brand your website. You’ll get a stunning design in just five minutes! Well, that was it! I hope that these tips will come in handy when choosing a smart URL for your blog or company website.